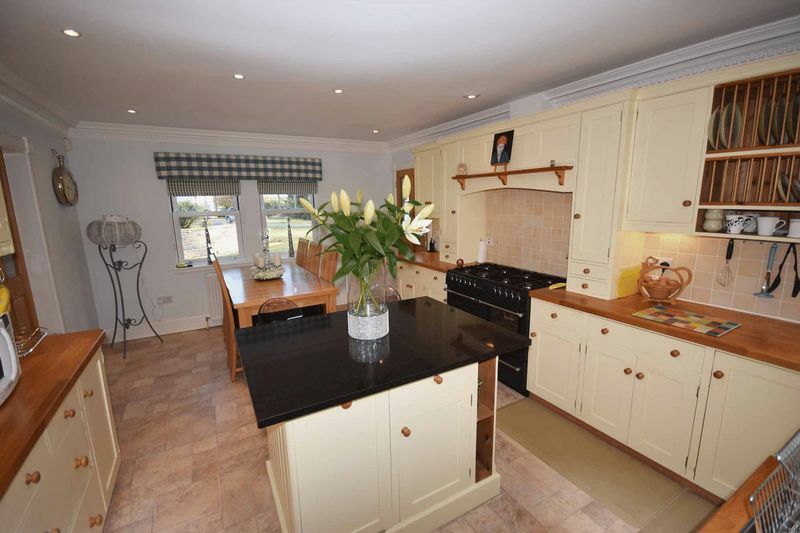 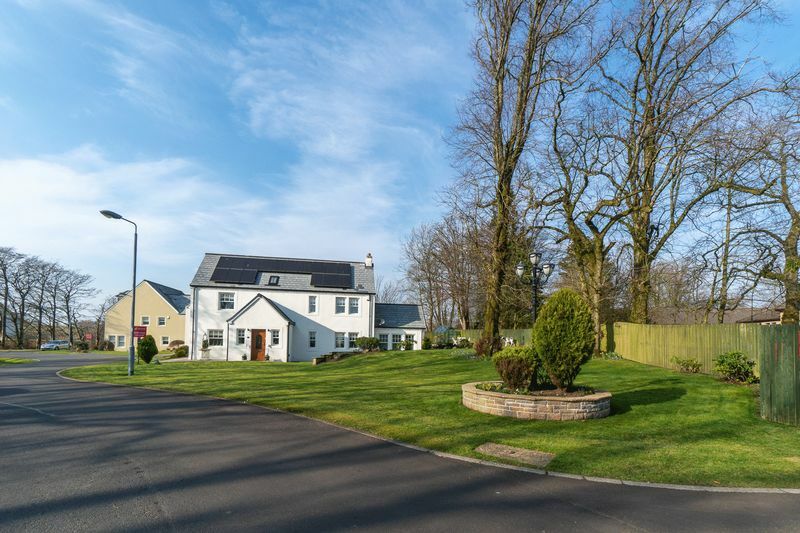 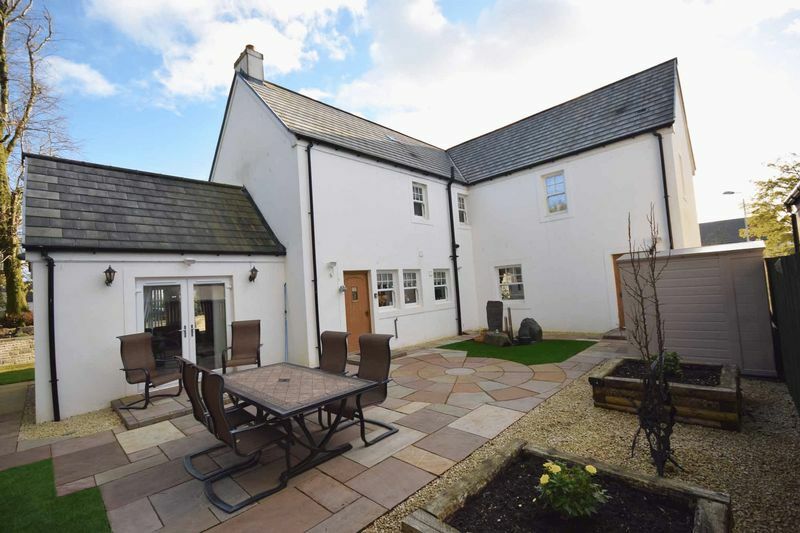 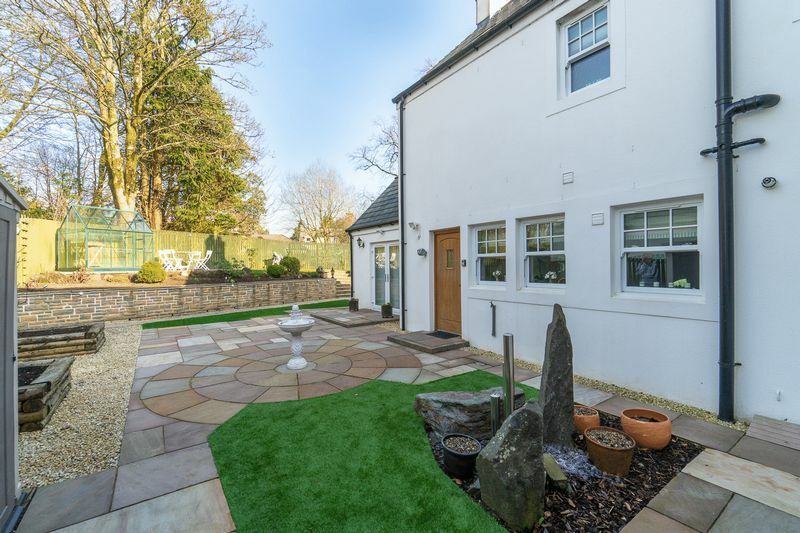 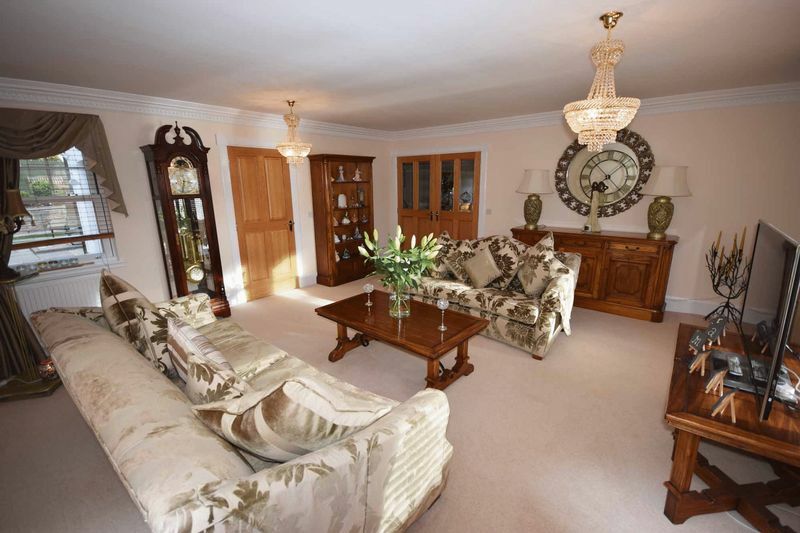 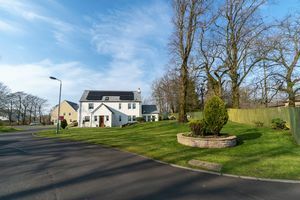 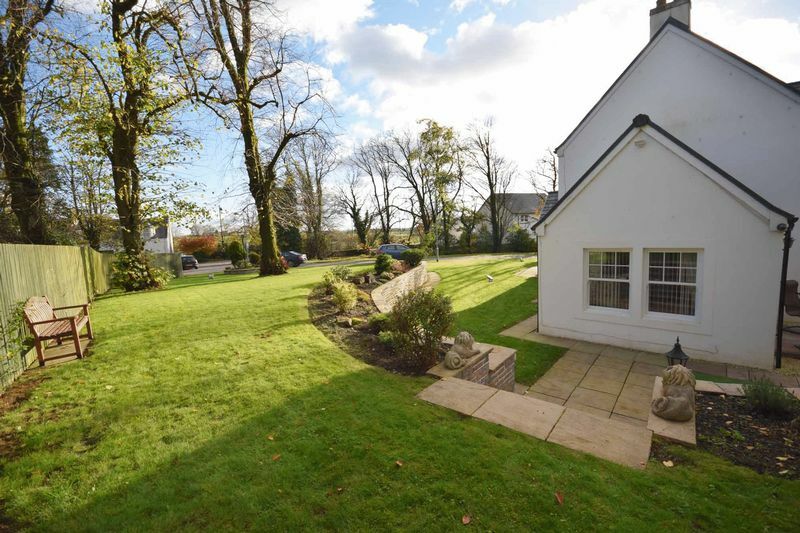 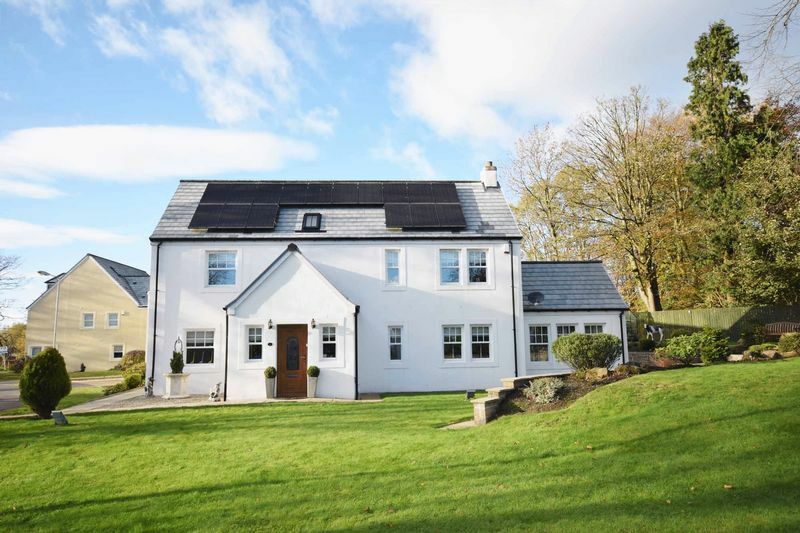 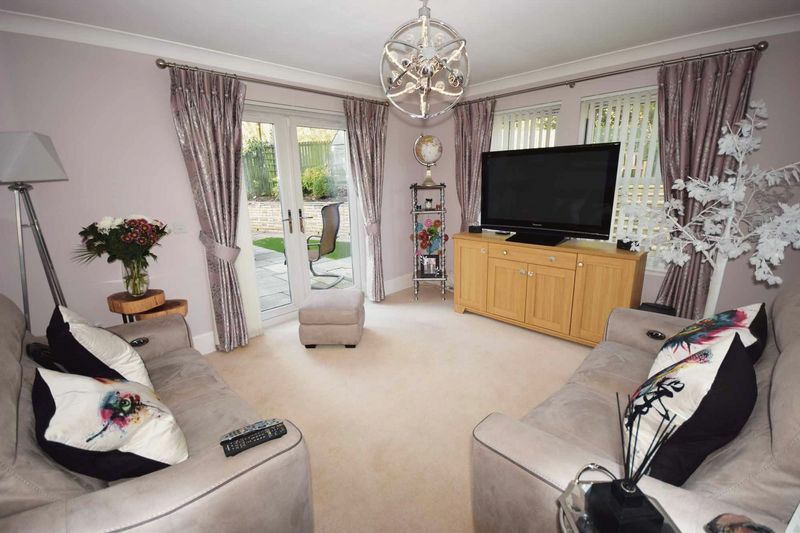 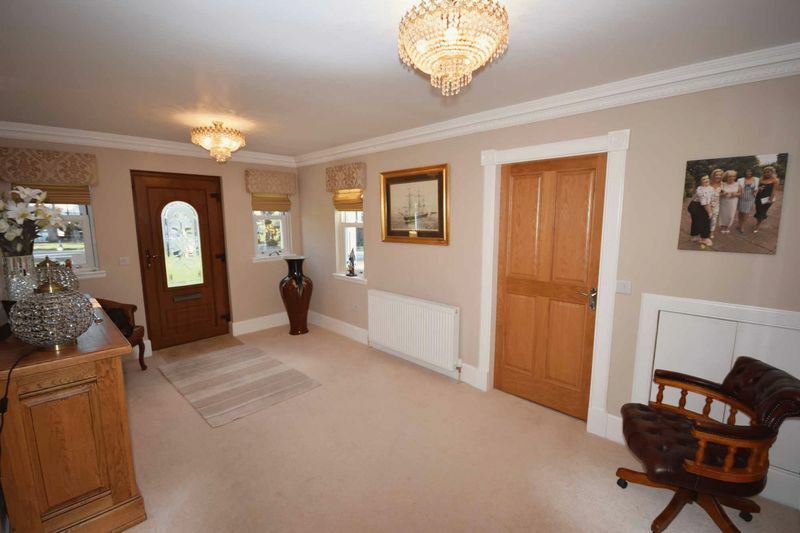 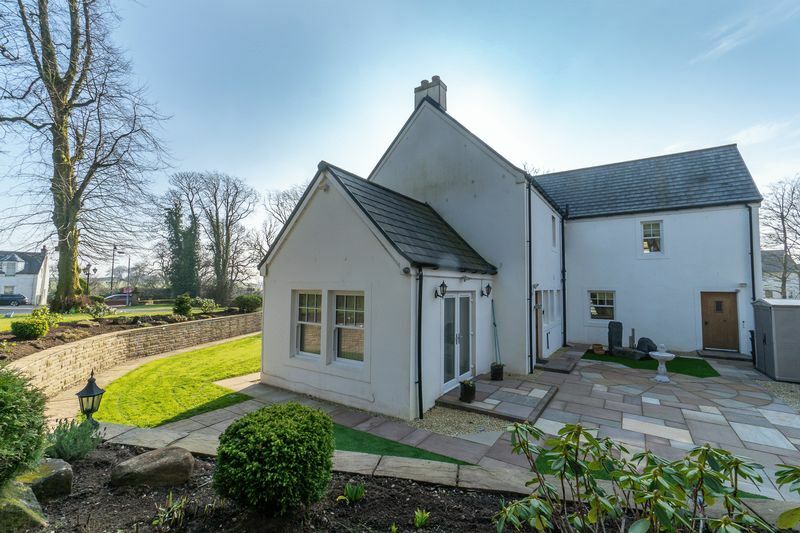 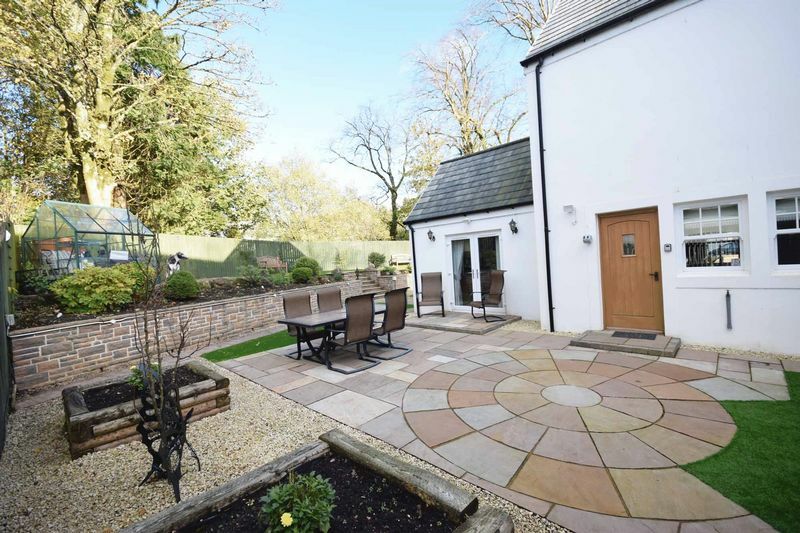 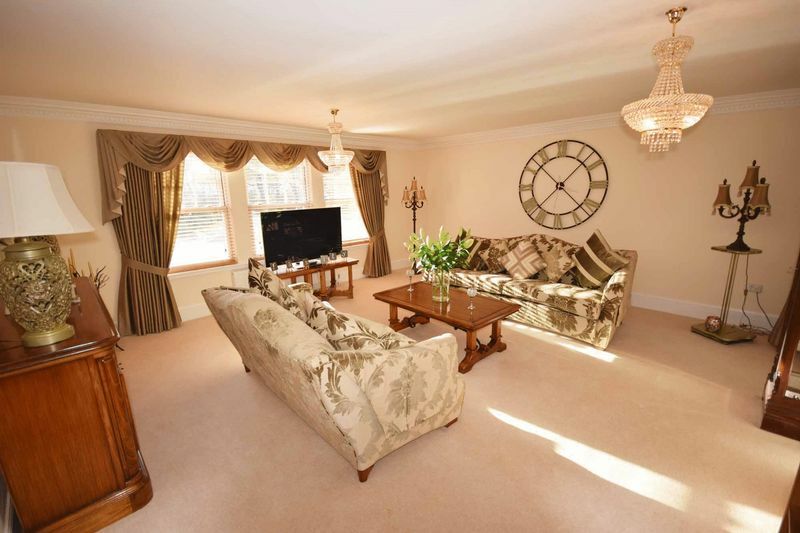 A luxurious, beautiful & imposing detached four-bedroom family villa with incredible garden grounds, presented to the market in show home condition, occupying a prominent & commanding position in the picturesque conservation village of Fenwick. 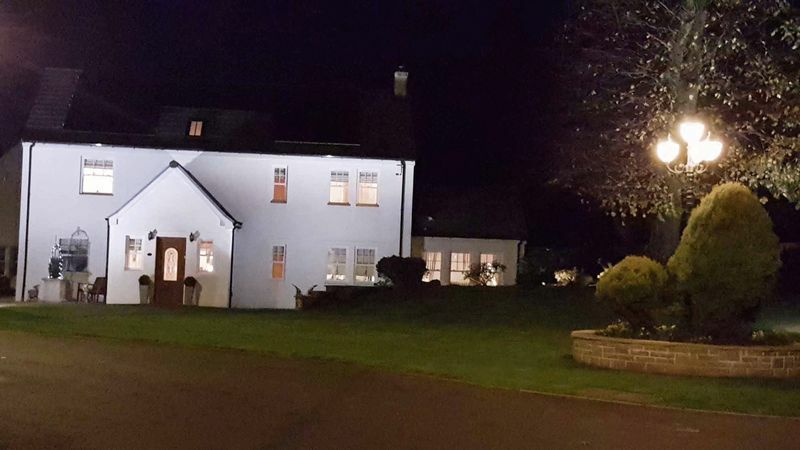 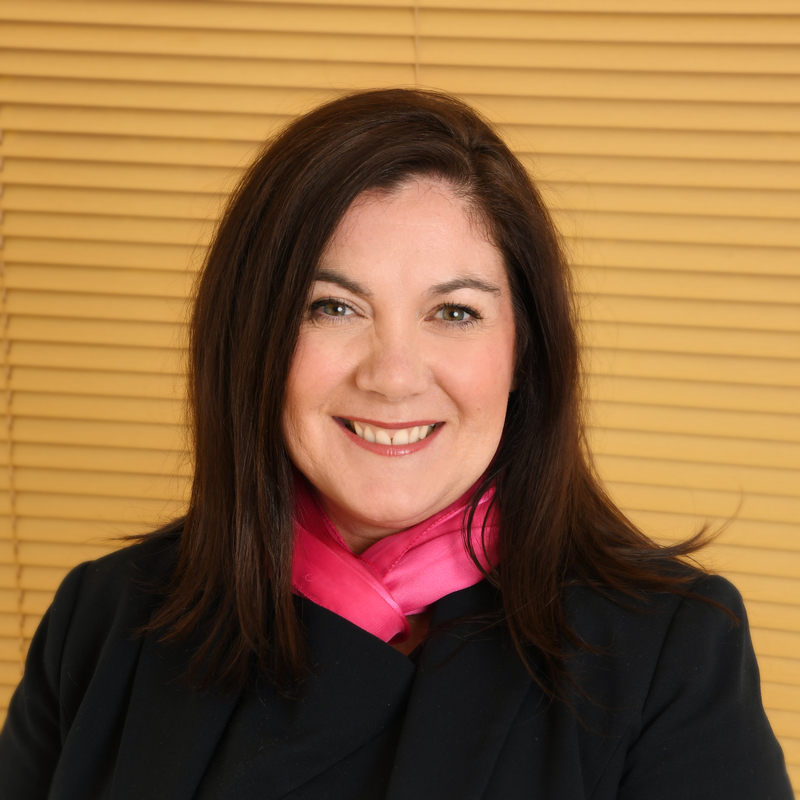 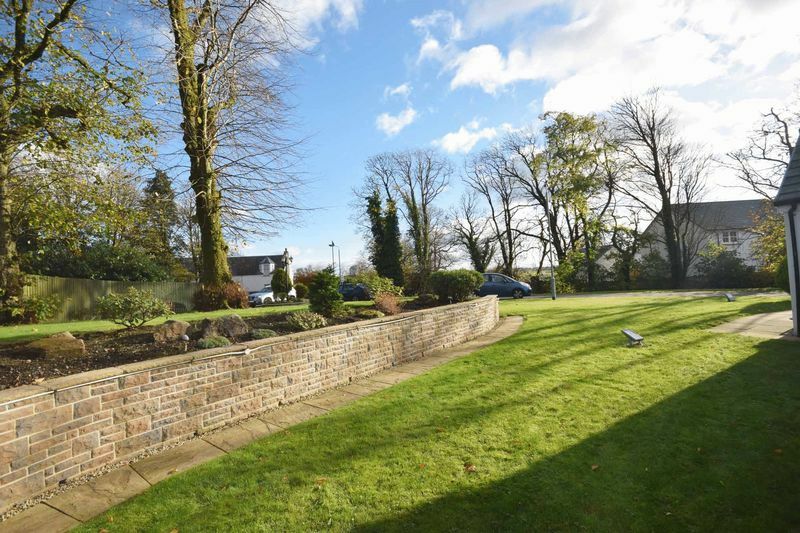 Donald Ross Residential are delighted to present to the market 1 WEAVERS COURT which is a truly unique, wonderful and substantial family home which is without a doubt one of Ayrshires finest residences. 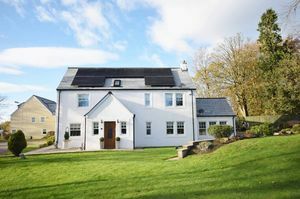 It extends to over 220sqm & offers generous reception rooms and commodious bedrooms which are perfect for larger families looking for a “forever” home. 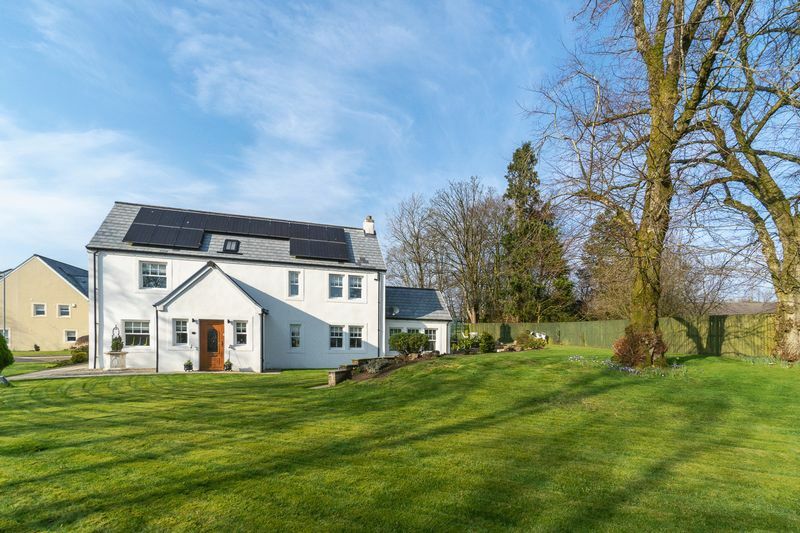 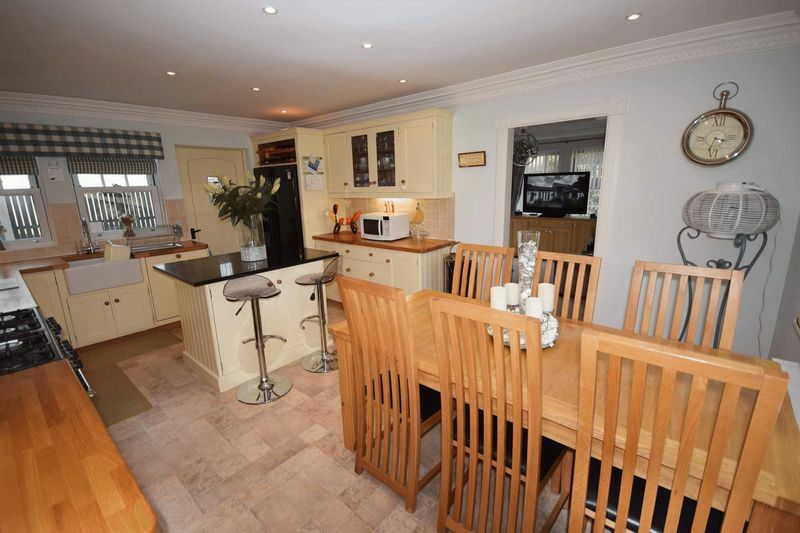 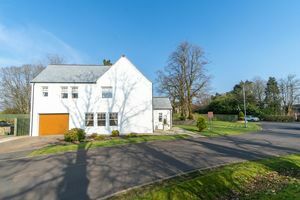 This bright and spacious family home enjoys a woodland aspect to the rear providing a high level of privacy and seclusion within this quiet and tranquil village setting. 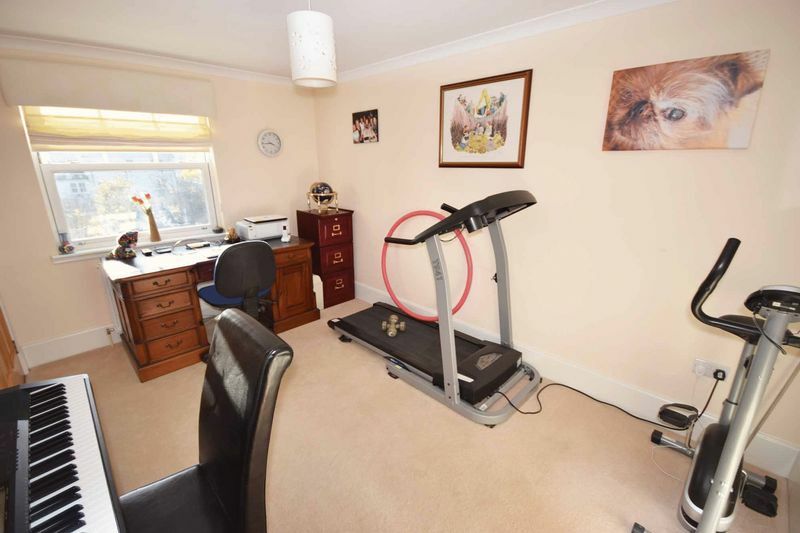 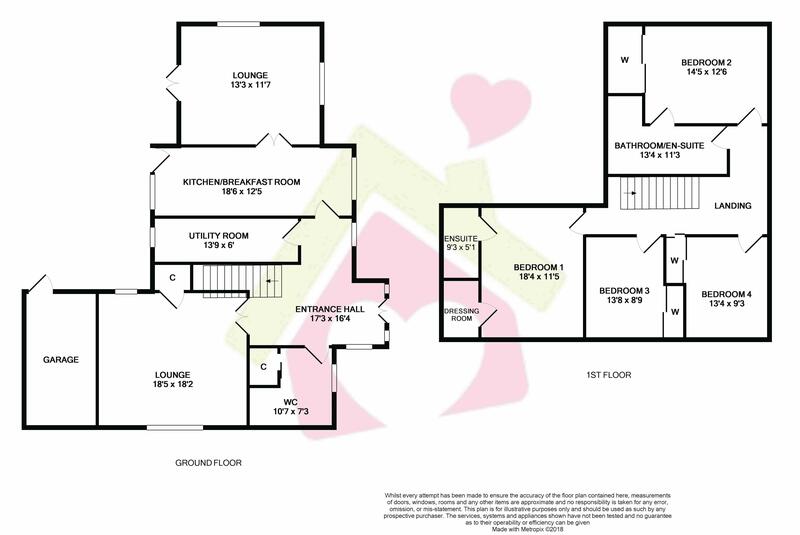 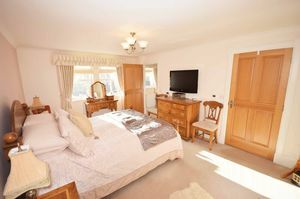 The spacious flexible accommodation is formed over two levels and is ideal for modern family living. 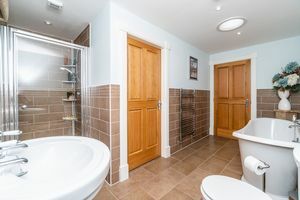 In more detail the ground floor accommodation comprises of a welcoming reception hallway with WC, spacious & comfortable formal lounge, modern & impressive high-quality handmade fitted dining kitchen complete with Belfast Sink & large range cooker, a utility room & a lovely sun room with French doors out to the secluded garden. 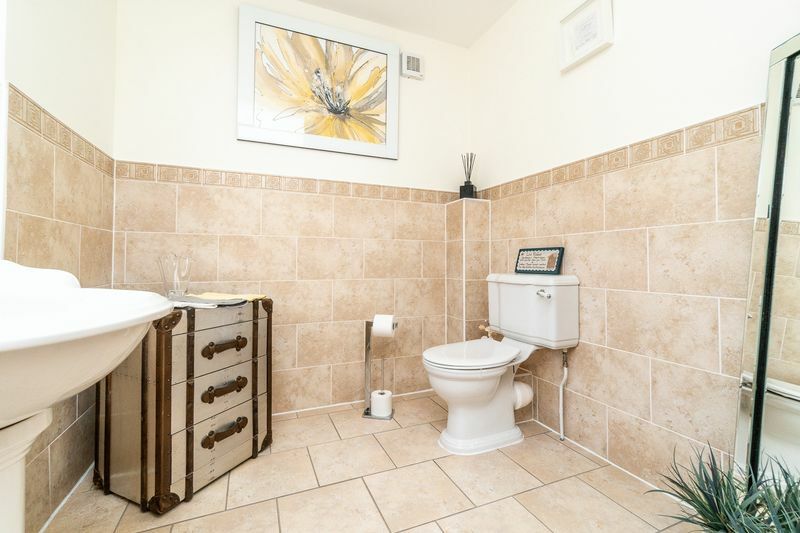 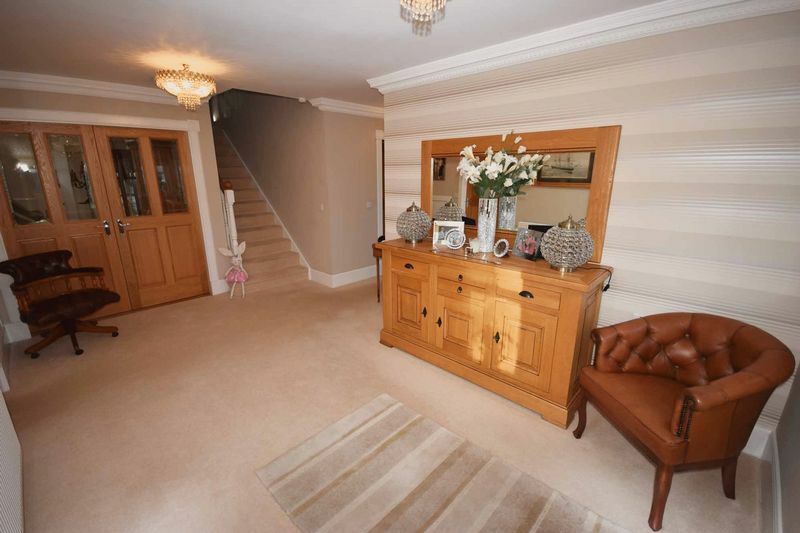 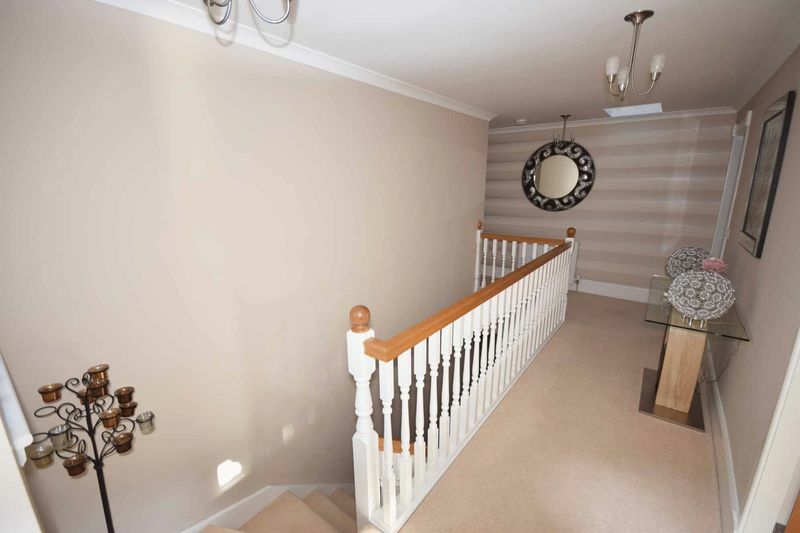 An attractive staircase rises to the first floor with hosts a stunning master suite complete with beautiful en suite shower room & dressing room. 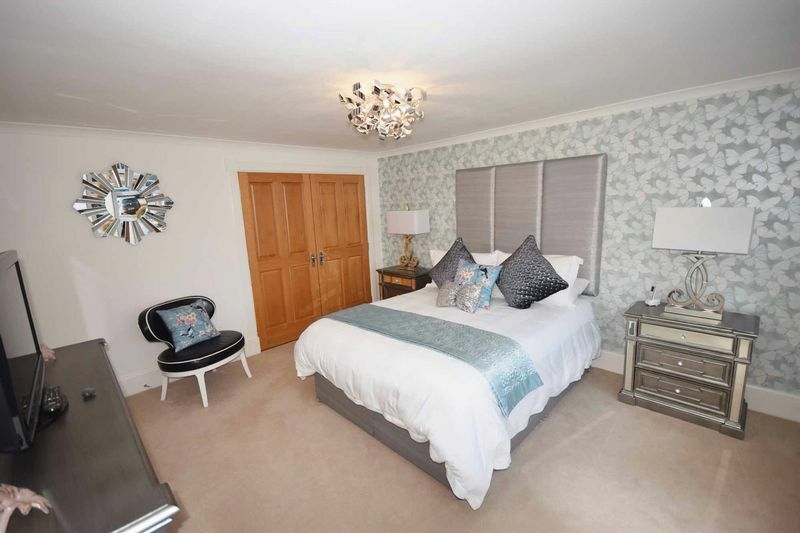 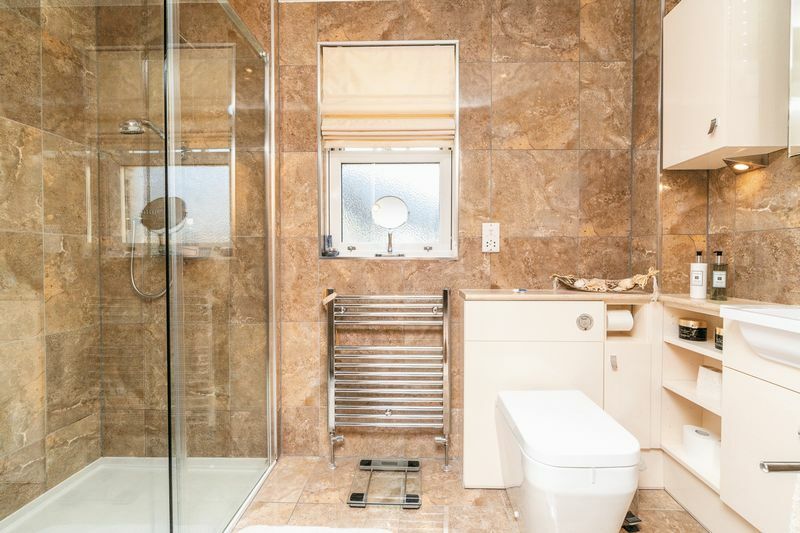 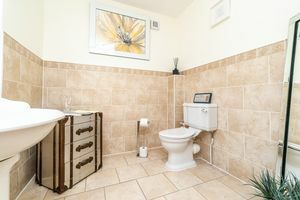 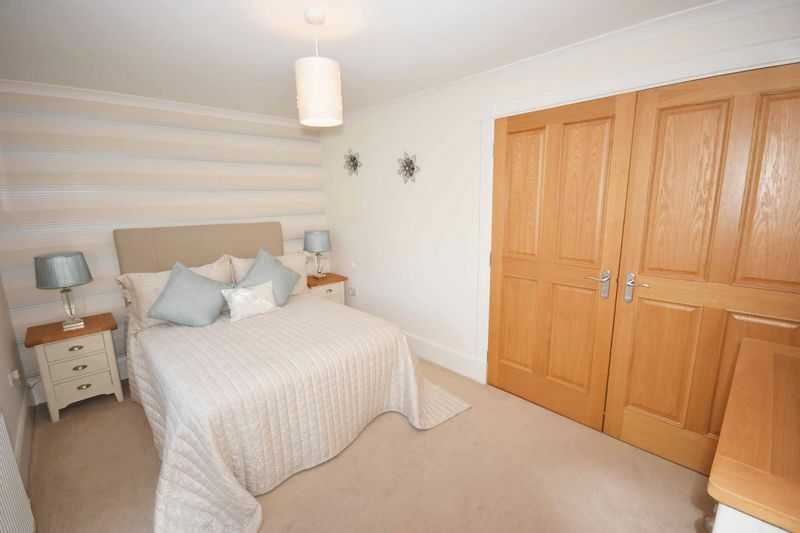 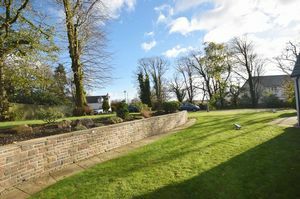 There is also a luxurious high specification family bathroom / en suite & three further exemplary styled double bedrooms. Further benefits include solar panels, double glazing, gas central heating & excellent storage throughout. 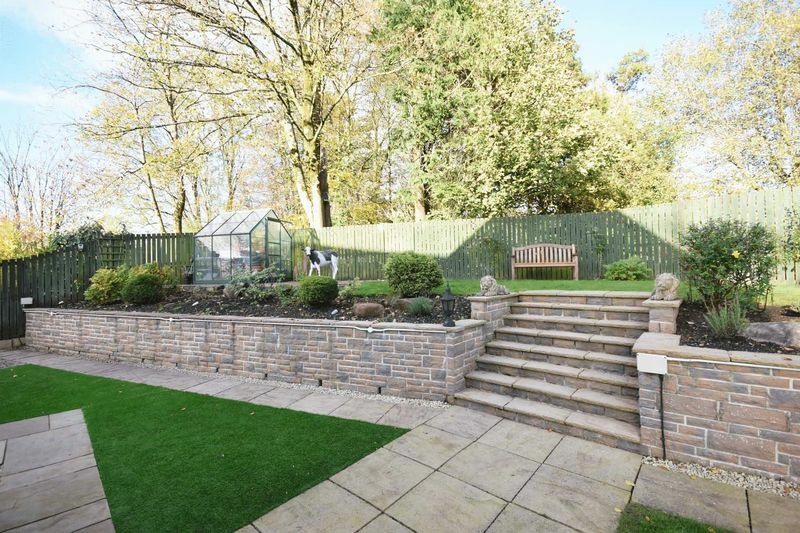 Externally the subjects sit on a most commanding & extensive plot which is by far the best in the development. It hosts a single garage & driveway plus beautifully maintained landscaped garden grounds which are gorgeous & ideal for outdoor entertaining.